A cutting edge figure in defining contemporary Burmese poetry in Myanmar. Co-editor of Bones Will Crow, the first international anthology of contemporary Burmese poetry in English translation and author of his poetry collection The Burden of Being Burmese. 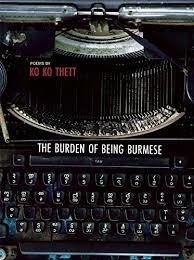 ko ko thett will introduce currents in Burmese poetry and perform poetry in Burmese and English. A rare chance to encounter a vibrant, edgy, and earth-shattering poetry scene.